Iron Sharpens Iron (ISI) celebrates its 2nd Anniversary Mixer where members can mingle and network. 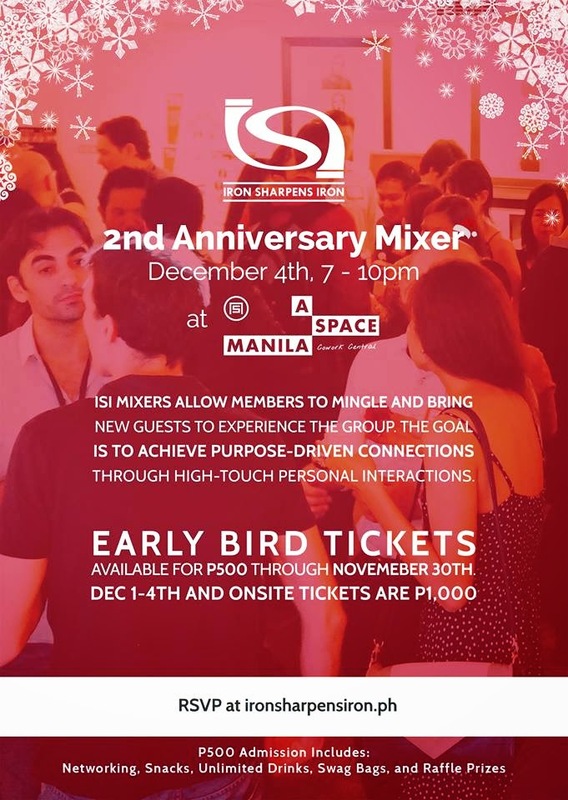 This event will be held on December 4, 2014 (Thursday) at 7-10 pm at A_Space Manila in Makati City. All attendees must register to attend via the organization's website http://www.ironsharpensiron.ph. Tickets are currently only P500 through the end of November. For December 1 onwards, instead of paying P1,000, the price remained as P500. Tickets can also be purchased on site. The ticket includes snacks, unlimited drinks, swag bag, raffle prizes, and of course purpose-driven networking. 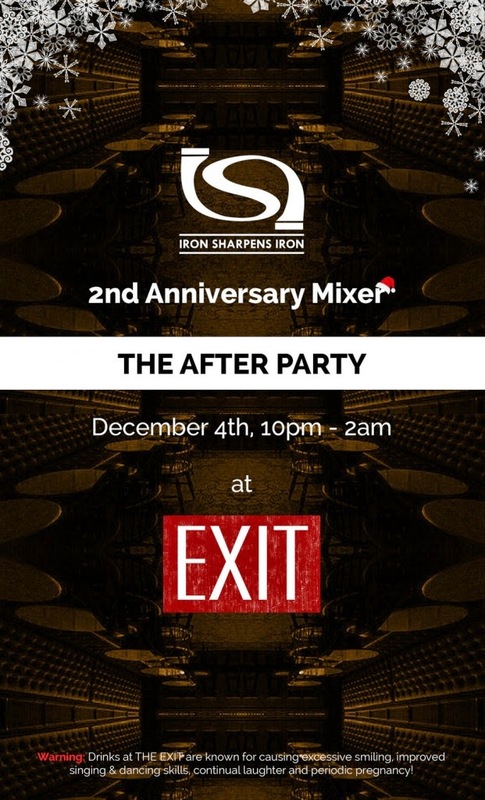 There is an After Party which will be held at Exit at 10pm-2am. ISI Mixers allow members to mingle and bring new guests to experience the group. The goal is to achieve purpose-driven connections through high-touch personal interactions. Mixers are held in social environments to explore collaborative alliances. ISI Core Members personally matchmake relevant connections during our mixers. Expect to engage with investors, entrepreneurs, top executives, entertainers and other industry-wide influencers. What can you expect to gain from these events?